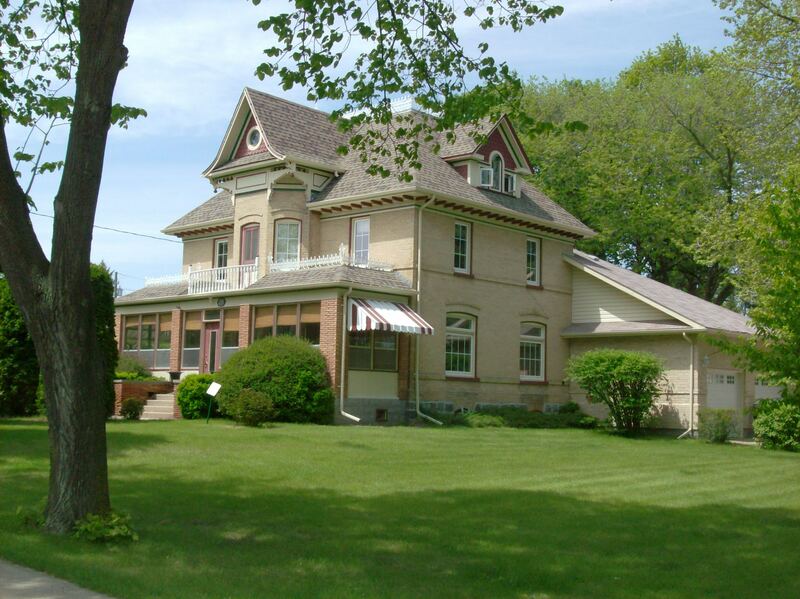 Local contractors Jones and Fusee constructed this fine Italianate house in Neepawa in 1900. 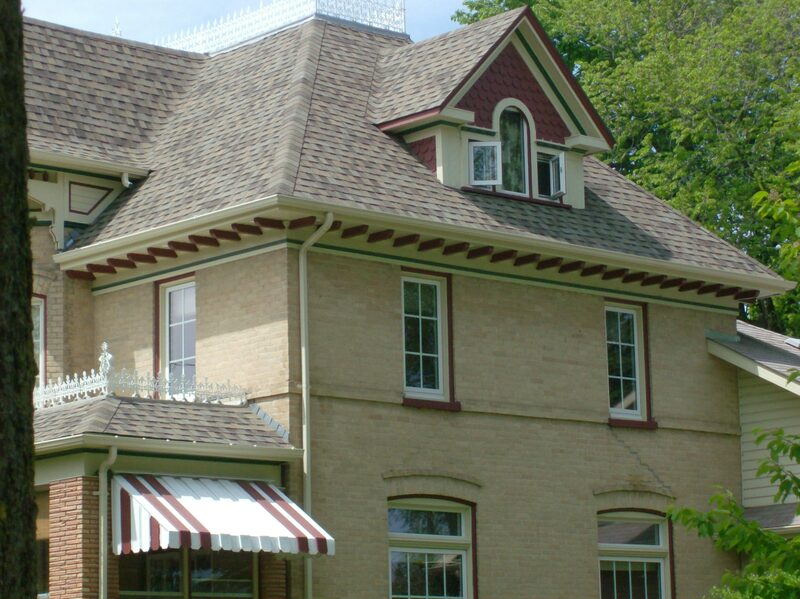 It was built for J. H. Davidson, the manager of the flour mill, and his wife Dr. Mary Davidson, Neepawa’s first female physician. Although the main floor porch has been altered, the balance of the pile retains many original features. Notice the delicate iron cresting on the roofs. There are matching Palladian windows on the east and west dormers of the house, which is built of locally made buff brick. The colour scheme of the house is similar to the original popular colours of the time. 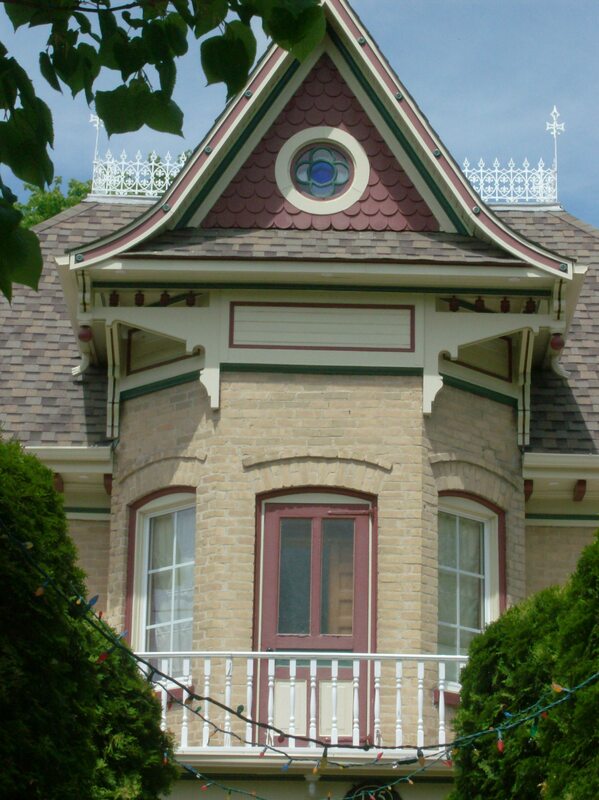 The second floor central bay sports a flamboyant gable with a sweeping curve, bull’s-eye window with floral motif in blue and white glass, oversized brackets and fish scale shingling. 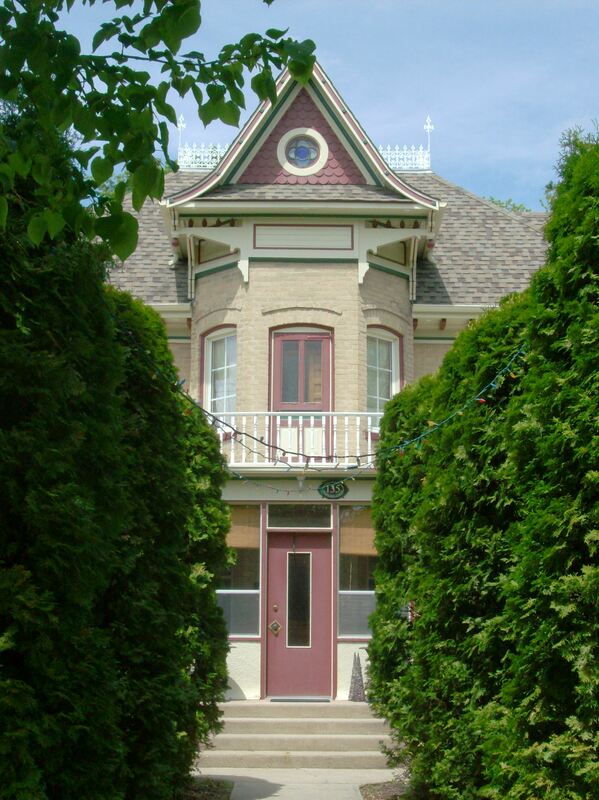 Neepawa has at least three other houses whose architecture has Italianate influence but this house is the style’s finest example in town.